I arrived in New Delhi and went to the travel agent I always use. He arranged for car, driver, trains, planes, hotels and planned the best route to see 9 cities in 21 days. The first 15 days where with a car & driver. It’s important to interview drivers – they make the trip. Ours was great; he did much more than drive us. He knew the cities very well and brought us to important sights. A tip: there is a commission system in India, so any store someone takes you to gives him/her a commission on what you buy. It’s hard to work out great prices because of this. When you really want to shop, go out on your own. Jaipur was our first stop – The Pink City. The old section is painted in a terra cotta color with details drawn on the walls in a lavender color. Jaipur is known for jewels and handicrafts. 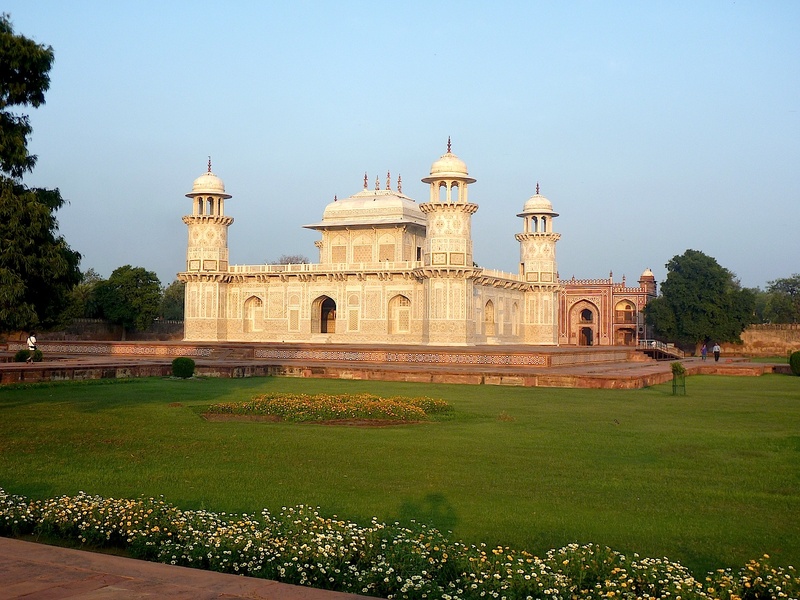 It has several large forts, a lake palace and a city palace. You can get to the Amber Fort, the largest of the forts, either by car or by elephant. It’s a grand palace with gardens and water elements. The meeting places are tiled with mirror in very intricate patterns. Back to New Delhi. As India is being globalized Delhi is impacted the most. It was not built for the amount of cars that there are now. People are leaving the countryside to work in the foreign communication businesses. Entire modern cities outside Delhi have been built to accommodate this industry. It’s taking its toll on India…the country is losing its culture. The young are all dressed in western style clothing. The color that made India famous is disappearing. The crafts that were done for generations have stopped being made as the young look for work in the cities. Delhi has all the western brands in Connaught Place, a circular series of buildings that remind you of the Raj era, when the British were in power. India is still my favorite place to go, even though it’s changing so fast that parts are barely recognizable. For anyone interested in seeing India, I’d say go there fast. There is still some of the ancient India remaining, but another generation or two and it will be gone.